Posted Monday, November 12, 2018 by Eddy Goldberg & filed under Office Chairs. Office managers know that the little things make a difference. Employees value their pay and working environment. But their equipment makes a difference too. And for people who spend all day at a workstation or desk, the quality of their office chair is top of the list. Have you ever worked with someone whose office chair was just right? They guard that chair with their lives! A smart office manager know that when it comes to office chairs, both productivity and happiness are at stake. Let’s have a look at what those employees value in an office chair. Sitting for a long time gets tiring. However, having the right support for your back and body can reduce fatigue. 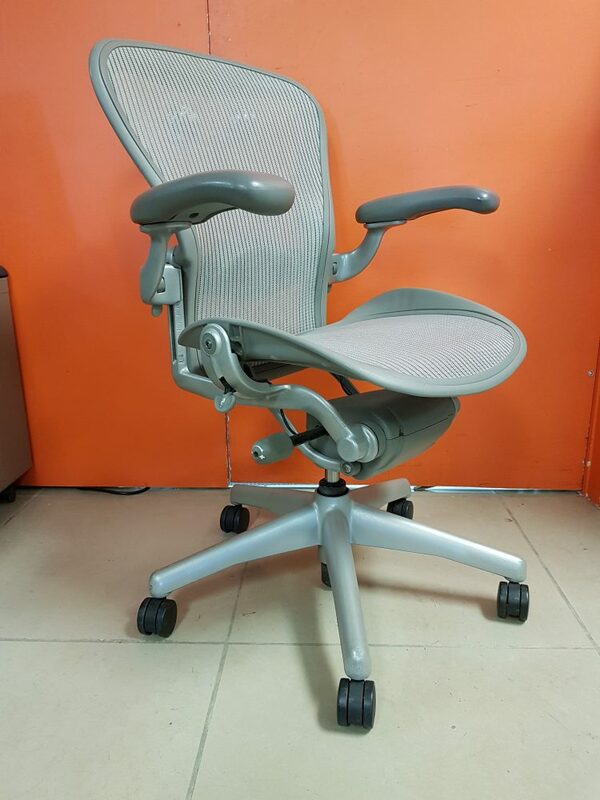 Some superior options for office chairs with great lumbar support are the Steelcase Leap or the Aeron Chair by Herman Miller. As you work for long hours, your body expels heat and sweat. Office chairs that hold in the body heat are a bother. You need an office chair that provides constant air flow to reduce fatigue and enhance comfort. Office managers should consider office chairs with superior breathability, remembering that many of the quality products allow customers to select from a range of materials. Reclining ability – whether it’s a little or a lot – is a must. The best office chairs allow employees to stretch their legs. Steelcase offers the Push Back system, while Aeron has a special selection of office chairs with Tilt Limiters. Both options provide complete control over the tilt in the chair. Your employees come in every shape and size. That’s why your office chairs must be adjustable. They’ll complain if the chair doesn’t fit, but they’ll appreciate it when it does. There are three sizes of Aeron chairs to choose from, while also having the ability to change the placement of the armrests. 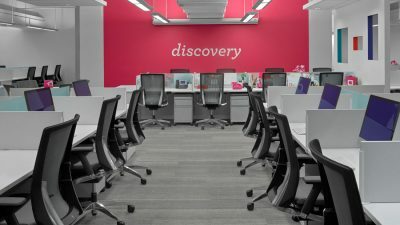 Steelcase Leap comes with the same adjustable armrests for the employees, while also having the ability to move the base of the seat for the specific person’s build. 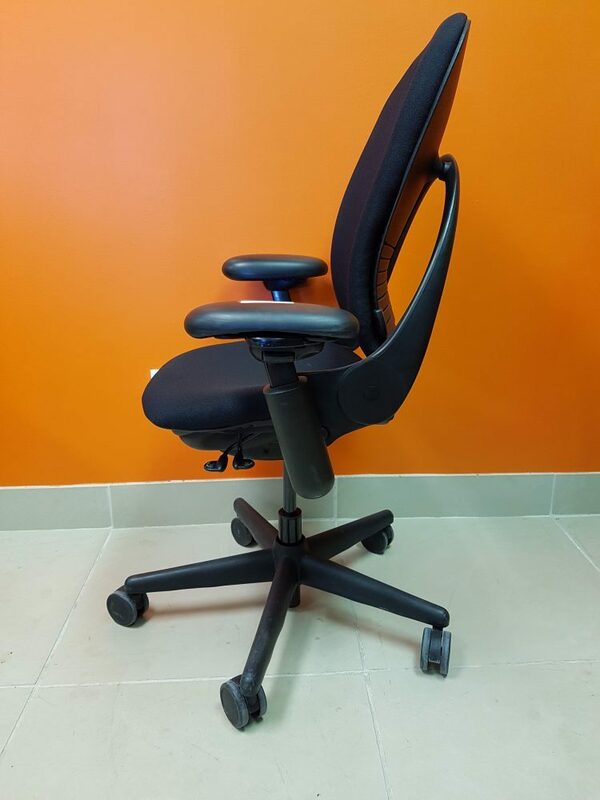 Office Managers – Give Your Employees an Office Chair They’ll Value! Office managers have big responsibilities. In many ways, the employees’ comfort, productivity and happiness are in their hands. Getting the right office chair and the model your employees will value is a big step towards greater success. Contact Track to learn about our extensive inventory of superior office chairs.